Even if energy is cheap it should not be wasted. That's what Colin Cover, the general manager of the Dominica Electricity Services (DOMLEC) told the official opening of a seminar on energy efficiency and renewable end energy here last week. He added that the need for energy has driven the development of man from the beginning of civilization, from the Stone Age to the Information age. "All these things are driven by energy and our consumption of energy seems to be like an ever growing river," Cover said. "It has risen so much by the availability of fossil fuels that the by-product of the increasing appetite for energy is changing the climate of our planet." Speaking on the issue of renewable energy, the DOMLEC manager said his company has so far this year spent more than $46 million on diesel, which is 25% more than DOMLEC spends to run the rest of the company. 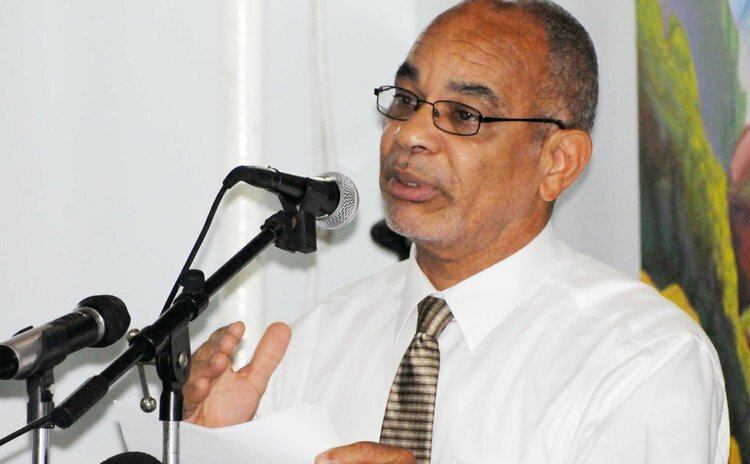 So, he said, DOMLEC is aware of the impact high energy costs has on the economy of Dominica. "Our approach has been to support the Government on the geothermal plant as we are firm in our conviction that this is the best long-term solution for renewable energy in Dominica." Cover spoke to participants of two-day energy efficiency and renewable energy sensitisation seminar held at the Fort Young Hotel last week organised by the Caribbean Development Bank (CDB), through its Caribbean Technological Consultancy Services (CTCS) Network, in partnership with the Dominica Agricultural Industrial and Development Bank (DAIDB). The objective of the seminar was to assist small and medium-sized enterprises and businesses in Dominica to embark on energy efficiency and renewable energy initiatives within their respective enterprises to reduce the cost of energy and contribute to profitability. "This instructive forum takes place at an opportune time when there are persistent global, regional and local conversations on energy efficiency and renewable energy," said AIDB manager Julius Corbette. On the issue of energy efficiency, Cover told the seminar that we have to find ways to use less energy to do the same tasks. He added that Dominica's transportation industry, for example, is a major waster of energy and that the nation has to do something about that "if we are going to talk about energy efficiency." But the transportation sector is not the only wasters of energy. "The average householder can cut his energy use by approximately 10-15% through energy efficiency," Cover said and gave the following example. "If you are making a cup of tea, and it's only one cup, there's no need to fill the kettle to the brim. All you're doing is heating water that you will allow to cool down and you have to pay the power company." Cover said energy efficiency should be a way of life and furthermore "we need to inculcate efficiency as a way of life, not only for energy, but for everything we do in life." Cover appears to be practicing what he preaches because although he worked for a power company, he said, he ensured that his household does not waste energy. "I can remember when my children were growing up, my children used to call me the 'light police'," he said. "(I would tell them) if you're not in the room, turn off the light. They would say, 'Ok Daddy, you're the Light Police."